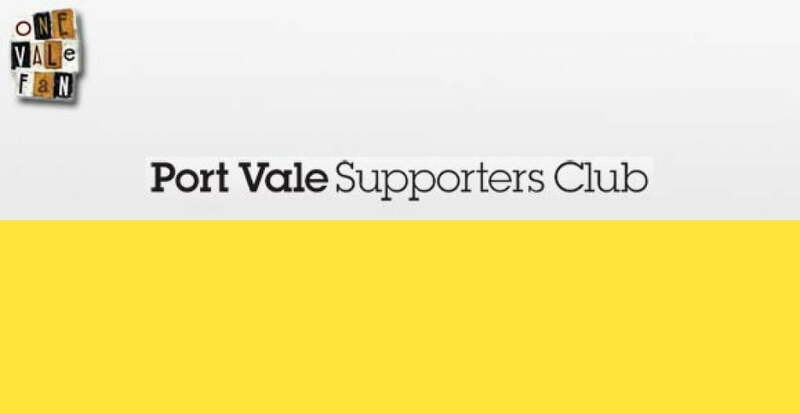 Port Vale Supporters Club and the club’s administrators have issued the first in a series of fortnightly updates to supporters. 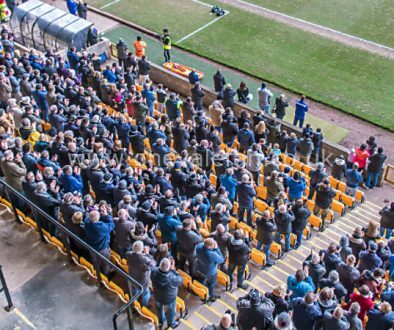 Port Vale Supporters’ Club is pleased to release the first of its Fortnightly Fan Updates in conjunction with the Joint Administrators Begbies-Traynor. 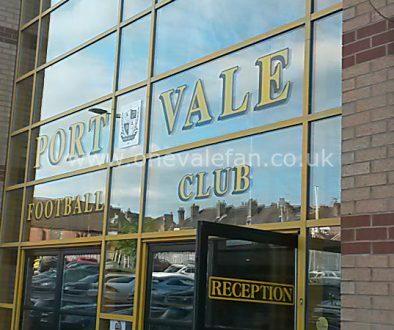 These regular statements are aimed at keeping supporters better informed of developments behind the scenes at Port Vale FC during the period the club remains in administration – and hopefully beyond. Earlier this week, Supporters’ Club representatives visited Bob Young and Steve Currie for a 90-minute meeting which was extremely constructive. 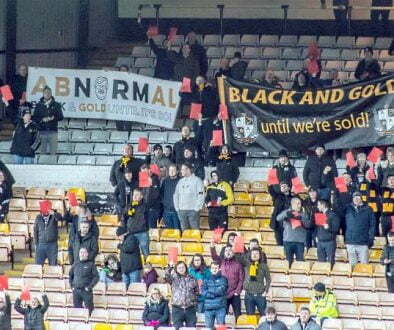 The administrators confirmed that following the Supporters’ Club meeting held at Vale Park on August 6, they had heard nothing further from either Keith Ryder or his legal advisers. Mr Young and Mr Currie said they, like the Supporters’ Club, had since made numerous attempts to contact Mr Ryder but all have been to no avail. As a result, Mr Young and Mr Currie no longer believe that Mr Ryder is in a position to complete the deal and have no option but to consider the deal dead – despite the extraordinary amount of time and money invested by Mr Ryder during his period as the ‘preferred bidder’. Mr Currie said: “Whilst this is incredibly disappointing and frustrating for the fans, the club and the administrators alike, we are encouraged by the number and calibre of new interested parties and we remain confident that a buyer will be found. We remain in negotiation with six parties and these negotiations are progressing. “Whilst we fully understand that the fans are eager to learn who these parties are, it is not appropriate for us to disclose names at this time and we would ask the fans to bear with us whilst we progress to a point where a preferred bidder can be named. Whilst negotiations with potential buyers are ongoing, the daily business of the football club continues and the tremendous start Micky Adams’s players have made to the season certainly bodes well. The superb victory over a full strength, League One Tranmere team on Tuesday night was the latest in a series of entertaining performances and, coupled with the solid league form, the administrators said they were hopeful this would entice even more fans to Vale Park on match days to help the club towards the 5,000 home attendance figure which it has been estimated will help the club to break even this season. Although stated attendances have been below the 5,000 mark up til now, at present, those figures only represent the actual number of people in the ground and do not include any unused (but paid for) season tickets. As the season ticket income is accounted for in the 5,000 ‘break-even’ point the club will, in future, add the number of unused STs to the overall gate to give a better indication of where we are. The administrators were keen to stress that the ‘break-even’ number is a guideline based on the average price paid by a fan to watch a game. It is the balancing figure between the club’s overall expenditure (wages, overheads etc.) and the predicted funds that can be raised from commercial revenue streams (sponsorship, advertising etc.). It cannot be an exact figure and is intended only as a guideline and will be kept under regular review. On the whole the administrators said they were reasonably satisfied with attendances for this stage of the season – given the poor following of some visiting teams – and were delighted by the number of fans who turned out on Tuesday night. We also recognise that many fans are restricted in how many games they can attend due to work and other commitments. We are grateful to every supporter who comes to the games. On attendances the administrators commented: “We recognise that the club has a large number of loyal fans who make as many games as they can. We also recognise that many fans are restricted in how many games they can attend due to work and other commitments. We are grateful to every supporter who comes to the games. The administrators said they were looking to improve the overall ‘match day experience’ for fans and were reviewing the current match day arrangements – including the ground safety requirements. Fans will have noticed that the ground caterers have been changed and the administrators hope that the new arrangements will provide an improved and more reasonably-priced service. Supporters’ Club representatives raised complaints by fans and the administrators accepted that there had been some early ‘teething problems’ with regard to the quality of food products on sale on match days and stressed that they were working to address this as a priority. They also confirmed they had agreed a deal with locally-based Titanic Brewery to provide real ales on match days. With the Football League imposed squad restrictions it is imperative that our injured players have access to facilities to enable as speedy a recovery as possible and arrangements have also been made to provide access these. Mr Young and Mr Currie were keen to pass on their thanks to the scores of fans who have given up their time to help prepare Vale Park for football this season by volunteering to clean, paint and carry out other general work on infrastructure. They commented: “As fans will hopefully see, there is a lot going on behind the scenes to try to complement the excellent performances of the team. This is a difficult balancing act as we seek to maximise revenue opportunities to help ensure the club’s survival. Port Vale Supporters’ Club Chairman Pete Williams said: “Unfortunately, the takeover saga rumbles on and we all have to remain patient, pull together and support the club and the team during this difficult period. “Thankfully, there are many reasons to be positive – not least because of way in which Micky Adams’s team has started the season and the way Port Vale’s superb, loyal fanbase has responded on match days and when called upon to help out the club they love. The SC would like to take this opportunity to wish Micky Adams and the lads all the best for Saturday’s home fixture against Rotherham and ask as many fans as possible to try and get down roar them to victory.